I am advancing to candidacy this fall! For the 2018-2019 academic year I will be co-coordinating a Rackham Interdisciplinary Workshop with my dear friend and colleague Ebony Perouse-Harvey (doctoral candidate, University of Michigan). I am excited to continue my fun and rigorous work with Ebony and our faculty sponsors Dr. Maisie Gholson (University of Michigan) and Dr. Maren Oberman (University of Michigan). Our workshop is titled "Women of Color & The Academy: Exploring Race, Research, Representation, and Positionality." I will be presenting at the 2018 American Anthropological Association (AAA) Conference. The conference will take place in San Jose, California in November. I will be presenting my installation "Talking Lei" on Saturday, November 17 from 2:00pm-4:00pm. Talking Lei is a multimedia storytelling installation that explores the process of lei making as a metaphor for the embodiment of the connectedness of storytelling in physical space. This installation includes a gallery of autoethnographic written vignettes and visual arts elements. The written vignettes address issues of race, culture, and kinship. The visual arts elements include light boxes, photographs, and watercolor paintings. This installation includes a performance element in the form of interactive lei making that is ongoing throughout the installation. Talking lei is an autoethnographic study that explores local Hawaiian identity, local Hawaiian knowledge, and the everyday practices of teaching and learning in contemporary Hawai’i. This project centers the importance of researcher identity, positionality, and reflexivity. In particular, the researcher considers how her positionality as a hānai (adopted) daughter in the context of Hawai'i intersects with her identity as a Korean Adoptee raised in the American South to create the unique experience of a twice-adopted daughter. 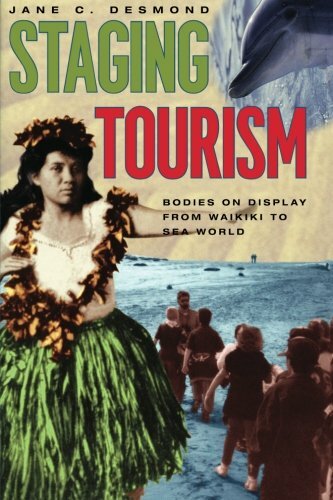 The written vignettes of this installation examine the researcher’s identity and positionality in the context of this ethnographic study of local Hawaiian knowledge. This installation includes an interactive lei making performance. The researcher will make hakulei, a style of lei created by bundling flowers and wrapping them together. This installation extends this metaphor of bundling and wrapping into physical space: the multimedia elements are displayed in a lei around the room, and visitors are encouraged to move freely throughout the space and interact with these pieces in whichever order they choose, creating a narrative lei of their own. As an autoethnographic multimedia storytelling installation, Talking Lei considers emerging and unconventional understandings of methods and representation that can contribute to the ways researchers enact qualitative methodologies and envision future research. This installation was supported by the Rackham Graduate School and the Center for World Performance Studies at the University of Michigan. The written vignettes and photographs are produced by Laura-Ann Jacobs (University of Michigan). The watercolor art is produced by Katie Wong (University of Hawai’i, Manoa). I will be presenting at the 2018 Literacy Research Association (LRA) Conference. The conference will take place in Indian Wells, California in November. I will be presenting with Dr. Annemarie Palincsar, Gabriel DellaVecchia, Kathleen Easley, and Maggie Hanna. Our paper is titled "Historical inquiry to promote community identity at LRA." We will be presenting in the session "Critical understanding of current trends and issues in literacy research." My portion of the presentation focuses on the history of disciplinary literacy. This historical inquiry uses the three most recent volumes of the Handbook of Reading Research and the most recent volume of the Handbook of Writing Research to examine developments in the field of disciplinary literacy over the past three decades. This inquiry focuses on the scope of the field of disciplinary literacy research, the influence of theory in the field, and the connection of theory to methodology. This inquiry has three major findings: (1) disciplinary literacy is an emerging field in literacy research that is expanding in breadth and narrowing in depth, (2) disciplinary literacy research is shifting to align with sociocultural theory, and (3) disciplinary literacy research is shifting to qualitative research using ethnographic methods. The future of disciplinary literacy research is likely to continue these trends and is also likely to explore how context mediates literacy practices and assume a social justice stance. I have been accepted to present my paper "Comedic Counterstories: Performing Marginality" at the GSCO/BET Conference on March 9, 2018 at the University of Michigan School of Education. This year's theme is "Pushing Back and Lifting Up: Inspiring Change Through Educational Research, Policy, and Practice." What does it mean to push back, lift up, and inspire change? At the School of Education, we are a community of engaged scholars who do work through research, policy, and practice that resists contemporary inequities in education; offers innovative responses to entrenched social problems; and employs methodological approaches that critically question status quo interpretations of the past, present, and future. We are dedicated to lifting one another up and providing inclusive opportunities for members of our community to advance their scholarship. Thank you to University of Michigan doctoral students Crystal Wise and Ashley Jackson for organizing this event. Click here to learn more about this year's conference. I have been accepted into the Engaged Pedagogy Initiative for Winter 2018. I look forward to this opportunity to work with this diverse interdisciplinary cohort. Throughout this program we will focus on engaged pedagogy, community-based learning, and public scholarship. What is the Engaged Pedagogy Initiative? The Engaged Pedagogy Initiative (EPI) The EPI is a semester-long community-based learning (CBL) graduate training program that promotes excellence in undergraduate teaching and graduate student professional development. The EPI was established in 2014 through a collaboration between LSA's Community-Engaged Academic Learning (CEAL), the Residential College, and the Rackham School of Graduate Studies. Through the EPI, graduate students from across campus explore the theoretical foundations and ethical implications of CBL. In addition to creating a CBL course, participants present their key learning in a public form: the EPI Symposium. Click here to learn more about the Engaged Pedagogy Initiative at the University of Michigan. Click here to learn about the other EPI Fellows. Laura-Ann Jacobs is a doctoral student in the School of Education specializing in Literacy, Language, and Culture. Prior to her doctoral program, Laura-Ann taught public high school English in South Carolina for six years. Laura-Ann’s research centers on youth identity and youth literacies and is driven by her belief that youth voices matter. Broadly, her research focuses on youth-created counter-stories. Her current work considers performance as a space of empowerment for youth of marginalized identities. In this work she explores storytelling in general and stand-up comedy in particular as productive sites of identity exploration and expression. As an EPI fellow, Laura-Ann hopes to create a curriculum that supports students in the creation of their own counterstories in the form of stand-up comedy sets. Thank you to everyone who supported Talking Lei. This installation was my final capstone project for the Rackham Graduate Certificate Program in World Performance Studies at the University of Michigan. This event took place at the School of Education on November 28, 2017. This installation is a representation of my summer research in Hawaii in which I explored local Hawaiian identity through the teaching and learning of local knowledge. The project emerged as an autoethnography with multimedia components. 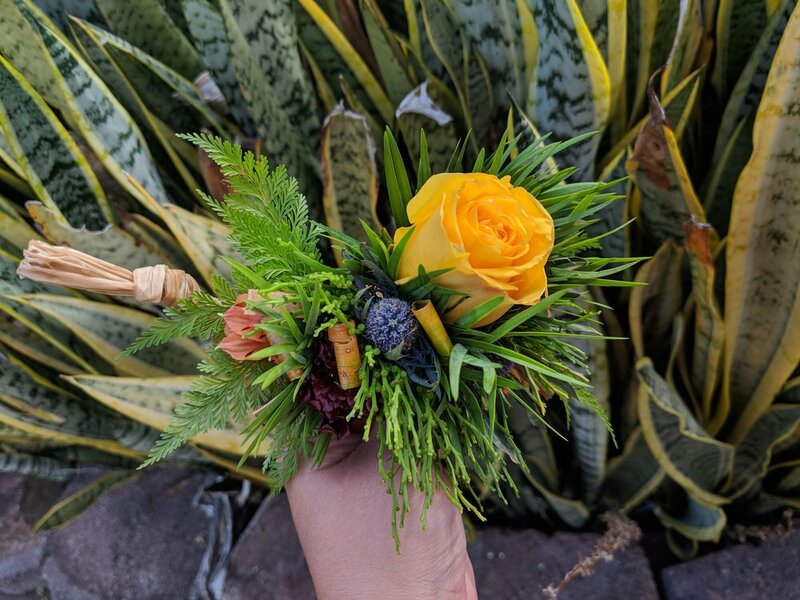 I want to thank the women who are here to make lei: Patricia Garcia, Maggie Hanna, Ashley Jackson, Debi Khasnabis, Enid Rosario-Ramos, Jenny Sawada, and Amber Sizemore. This project is an exploration of storytelling. These women are a part of my story, my journey. My story is not complete without them. This project would not be possible without them. They have shown up for me tonight, a symbol for the support and love that they have given to me throughout my time here at the University of Michigan. I would not be who I am without them. And I want to take a moment to thank them for being a part of my life. I also want to take a moment to thank my hanai sister, Katie Wong, who created the watercolor title cards for each of the pieces. While she is not present in body, it does make me smile to see her presence scattered throughout this room. I wrote that this project explores the process of lei making as a metaphor for the embodiment of the connectedness of storytelling in physical space. I recognize that we are at the School of Education and that this type of presentation is not conventional for this space. So I am going to do a bit more of an introduction than I would if this piece existed as an installation somewhere else. The women today are making hakulei by bundling flowers and wrapping them together. This project extends this practice into metaphor. Today to create this project, I have gathered women who are important and beautiful to me, I have bundled them together to make lei, and I am wrapping them together through the context of this performance. My writing is displayed in a circle, a lei, around the room. I encourage you all to move freely throughout the space and to interact with these pieces in whichever order you choose. The vignettes are not meant to be read in sequence. The individual pieces of this project are as important as the work as a whole. As you move through the space to read these stories, you add another layer of connectedness: your own. You become a part of this story as well. My presentation is part of a larger event featuring the work of this year's CWPS Graduate Fellows. Session I: Laura-Ann Jacobs (Education), Alyssa Wells (Musicology), Ellen Myers (Southeast Asian Studies), and Fabiola Torralba (Dance). Session II: Kiran Bhumber (Performing Arts Technology), AJ Covey (Percussion), Sydney Schiff (Dance), Adam Shead (Improvisation). Session I scheduled for Tuesday, November 28th at 6:00pm in Prechter Lab at the School of Education. Talking Lei is a performance-based storytelling installation centered around flowers. The installation features a community of women talking story while creating lei kūpeʻe (wrist lei) in the wili (wrapping) style and includes a gallery of autoethnographic work by LA Jacobs. 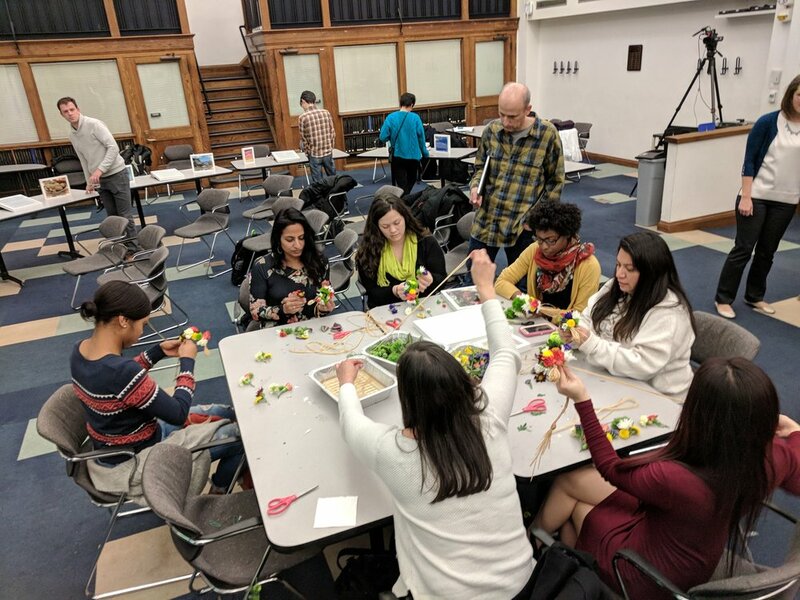 This project explores the process of lei making as a metaphor for the embodiment of the connectedness of storytelling in physical space. School of Education doctoral student Laura-Ann Jacobs uses the Performance Studies framework to look at youth performance of identity, in and out of the classroom. Six years into teaching in a public school in South Carolina, second year PhD student Laura-Ann Jacobs was looking for a change, but wasn’t sure she was ready to give up teaching for graduate work. After exploring programs at the University of Michigan School of Education on the recommendation of a friend, she found an exciting fit in the Educational Studies Program in Literacy, Language and Culture, where she could continue to explore questions of youth identity in the classroom, and to build a foundation for future teaching, learning and leadership in youth development and education for high school students. As a proactive grad student, Jacobs took some time to peruse the additional Certificates offered through Rackham Graduate School, and found the Certificate in World Performance Studies to be an intriguing option. Laura-Ann participated in improvised and devised theater throughout her undergraduate and previous graduate work, and saw an opportunity to look at identity from a performative framework that could augment her research in Educational Studies. Expecting a room full of anthropologists and social scientists, she was admittedly a little surprised to realize during the first class session that many of her colleagues in this year’s Grad Cohort are in performance programs in music and dance. Ultimately, the opportunity to explore issues in Performance Studies with a diverse mix of researchers and practitioners proved to be one of the greatest assets of the program for her; Jacobs says, “I have had to practice articulating myself across unfamiliar communities, which has helped me find the right words to be very specific about what I mean and what I’m doing.” This holds equally true for explaining Performance Studies to School of Ed peers and explaining education concepts to her cohort in World Performance Studies. She has found many strong connections between the two disciplines, noting that issues addressed in performance theory are in some ways the most relevant to her research, particularly because there is so much research about performance of identity. She has also found a strong parallel in looking at literacy in everyday life and making meaning from symbols, particularly citing the work of Dwight Conquergood. While Jacobs thought the Certificate would just be a “peripheral add on”, it has become deeply intertwined in her work, and the Performance Studies literature makes up a conceptual framework for her research within the School of Ed. During her summer research, Laura-Ann traveled to Hawaii, where she originally planned to observe how Hawaiian identity, both local and native, is performed by youth. When the arts-based youth program she was hoping to work with did not get their grant funding, she changed course and immersed herself in researching the transmission of local knowledge, histories and traditions. This included taking native knowledge classes, where a community of local women meet weekly to make leis and tell stories. Her in-field experience also led her to work more in autoethnography, stirring comparisons between her experience being adopted by a local Hawaiian family with her experience growing up adopted into a white family. She emphasized the importance of this experience in helping her to think about her identity in her research-- what she brings, and how we perform as researchers. Ultimately, Laura-Ann envisions a return to working with teens, doing arts-based programming outside of school, and continuing to work with performance of identity. You can see her Capstone Presentation on Tuesday, November 28 at the School of Education (SOE), Room 2202 (Prechter Lab), at 6pm. Click here to read the Student Spotlight. Special thanks to Ingrid Racine for writing this spotlight! Proposal funded! "Local Hawaiian Counterstories" has been funded by the University of Michigan Rackham Graduate School.